A lot of people often don’t know what to answer when they hear a question: “What is better? 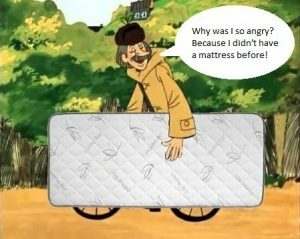 Spring or springless mattress?” This happens because it’s not easy immediately say what is the difference between them. That’s what we are going to speak about in this article. Difference № 1. 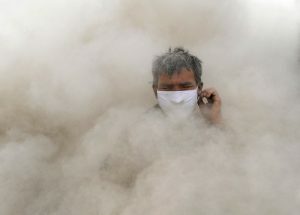 Intrusion and accumulation of dust in the block of the mattress. Dust intrusion and accumulation in the block of the springless mattress is totally excluded because there are so-called ‘microvoids’ in springless mattresses, which don’t have communicable sells. The block doesn’t have any interstices and it is covered by a hypoallergenic thermostatic filler, which serves as a dust filter and is easily cleaned with a vacuum cleaner. But there is an interstice in spring mattresses, which is actually a place of dust accumulation. This happens when you change your position or get up – in these moments the mattress draws dust and dirt inside like a vacuum cleaner. In 1 or 2 years inside of the block of the mattress will be dustier than in a vacuum cleaner bag for dirt. Difference № 2. Moisture permeability. Due to the moisture permeability and high quality of the materials which the springless mattresses are made from, the part of moisture that gets to the inner block of the mattress quickly evaporates naturally way through the sides and bottom part of the mattress. All this leads to good microclimate on the whole surface of the mattress and to comfortable sleep and rest. As for spring mattress, most manufacturers use springs without stainless coating. What happens in this situation? Moisture which gets to the inner block of the mattress and on the springs eventually leads to corrosion, so-called ‘rust’. Because of this, the mattress doesn’t have a microclimate, and when you move during sleep you hear indicative creak that bars from comfort sleep. Difference № 3. Changing the position of the body during a sleep. Everyone of us often changes position during the night. It happens locally on springless mattresses, and it means that when you turn over from side to side you won’t have so-called ‘wave’ effect, which is usually the attribute of spring mattresses. Also, changing position on springless mattresses you will stay in the same radius, so you don’t roll down and wake up to take a comfortable place again. Difference № 4. Using the whole space of the mattress. As we have already told, springless mattresses have very high quality of the materials, and they have such effect as “a million of micro-springs”. At first, let’s figure out what it is. The springless material has a great number of micropores, which serve as micro-springs and enable point response to each change in the position of the body, give a correct and even distribution of pressure across all parts of the body and create anatomic support, regardless of the height and weight of a person. This is called “a million of micro-springs” effect. Thanks to it you can use the whole space of the mattress and you will feel comfortable even on its edge. As a rule, the perimeter of spring mattresses is reinforced with a metal rod, which makes the edges of the mattresses either very firm or very soft. All this doesn’t add any comfort during rest and can’t provide you with a comfortable sleep. Besides, when you often use the edges of the mattress both reinforced material and springs start to ruin. Difference № 5. Static electricity. Since springless mattresses don’t have metal details and the covers are made of natural or high-tech artificial materials, there can’t be any questions about static electricity. 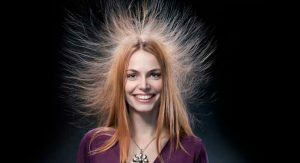 But spring mattresses have metal details, which lead to static electricity. As we all know (from the course of physics), this has a negative effect on the human body and leads to irritability, tiredness, and simply to a loss of healthy sleep. Difference № 6. “Wave” and “rolling down” effects. 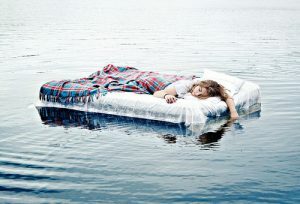 Unlike spring mattresses, springless don’t have such moments like “wave” and “rolling down” effects. “Wave” effect means that when one person lies down or gets up from the mattress the other one gets oscillatory movements (trampoline effect). “Rolling down” effect is when two of the people lying on the surface of the mattress rolls down to each other. These two effects exist only in spring mattresses and totally excluded in springless. Here is an example: let’s imagine a heavy man and a little child on the surface of the mattress - on spring mattress this child will roll down under the man and will hop when the man gets up from it. If we speak about springless mattresses, definitely the child won’t roll down anywhere, and he won’t even feel when the man leaves the mattress. Difference № 7. Difference between springless mattresses. Using coconut coir or horsehair with any steeping or vulcanization is not permissible in springless mattresses because this is the most fragile material and is added for the “firmness” of the mattress. If you press on it with a knee, elbow or if you jump on it, this material breaks down and isn’t restored anymore. In a half of a year, your mattress will be all in the mounds. We hope this article was useful and helped you to understand the differences between springless and spring mattresses. At the end, we want to say that choosing a mattress is not choosing computer technology. You need to spend at least 20 minutes of your time and to test all the mattress (springless and spring), preferably in the same shopping mall, and listen to your body. Following this, you will certainly make the best choice!